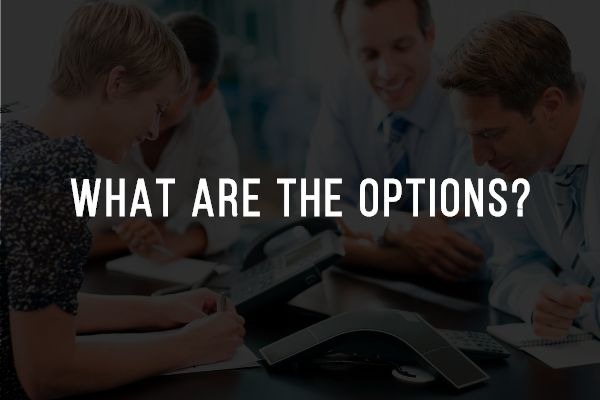 In a corporate world where minute taking and prudent record keeping are paramount, we often get the question: “What are my options?” There are several — but ignoring the notion altogether is not one of them. As we’ve mentioned in previous articles, minutes serve as a “maintenance record” for your organization. Whether you belong to a non-profit, an association, a corporation or a condo community, the importance of minutes remains consistent. Not only do minutes serve as a record of what has been done and a map of the road ahead, they are also mandated by legislation. Not taking minutes can come with consequences. Often the secretary of the board takes the minutes, but when that officer also needs to participate in the meeting, managing both tasks can be overwhelming and ineffective. This is where hiring a professional, third-party minute taker serves a very practical purpose. In-person: Corporations seeking a third-party recording secretary can hire someone — whether an individual or from a company — to physically attend the meeting and objectively capture the salient points. An in-person minute taker has benefits: meeting participants observe that someone is encapsulating the discussion and questions can be asked. However, depending on the location, a trained, third-party minute taker may be difficult to find. Dial-in: For clients in less densely populated areas, where professional minute takers may be scarce, dial-in can be a practical solution. A recording secretary who dials into the meeting virtually, from anywhere, gets around the logistics of needing to hire a qualified individual locally. Although some corporations find comfort in having the minute taker present — since body language and physical presence can lend nuance to discussions — this virtual solution is comprehensive. To have the minutes done properly, the clarity of the dial-in connection is imperative and scheduling in advance is still necessary since the minute taker must call in at the client’s appointed meeting time. Recording: For corporations that hold either very frequent or impromptu meetings, the importance of having them transcribed remains the same. This is where having the minutes taken from a recording is the most sensible solution. The chair announces at the start of the proceedings that the meeting is being audio recorded with the purpose of having it minuted. After the meeting, the recording can be sent via a variety of methods to a minute taker who turns it into a comprehensive set of minutes to submit to the client. As with the dial-in option, it is imperative that the recording is good quality and can be deciphered by a third party. If certain people or comments need to be identified, the speaker must state that. Holding a meeting in this manner may take some getting used to, but we find that after a short period of adjustment, clients appreciate the flexibility this option offers. Strong fundamentals are key: Regardless of which method you employ, it’s wise to ask whoever you hire specific questions to ensure your preferences and needs are considered and everyone is on the same page. The minutes can only be as good as the group allows them to be: ensure the meeting has a strong agenda and that participants speak clearly, and acknowledge that an objective third party is distilling the conversation to provide you with a quality set of minutes.